First things first, if you are not following me @CharmedValerie on instagram, then get on that because I love posting what I’m wearing as-it-happens-in-the-moment (+ style tips and mini beauty reviews). I’ve recently started utilizing LikeToKnow.it to make my instagram pictures shoppable (which I think is the coolest thing ever). Just register at LikeToKnow.it and then when you “like” my post on instagram (or visit the accompanying link if you see it on my facebook page) that has the #liketkit hashtag, you’ll instantly receive all the details about what I’m wearing. Lots of celebs and fashion bloggers post their outfits this way and I have found so many amazing things that I wouldn’t have otherwise known about. So go…get in the know (disclaimer: I am not responsible for any shopping enabling that may occur)! Here is what I wore to my MOPS meeting on Wednesday. There is childcare and mostly sitting down so I get to wear shoes that I can’t normally wear while socializing/bonding/receiving support from other mothers–it’s GLORIOUS! If you are a mother of a child age birth-Kindergarten I highly recommend it. Then my outfit needed a makeover for my real life. 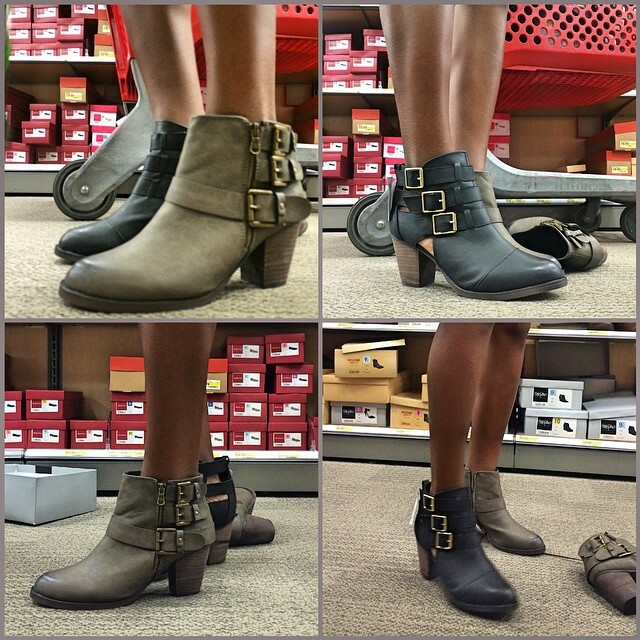 Then on Friday, inspired by my own Fall 2014 Must-Have Shoes post, I went shoe shopping at Target. The booties would look so great with tights and a skirt or some boyfriend jeans. These boots had that already broken in feeling and I think they could add lots of personality to leggings/skinny jeans or a dress (even my Athleta skort lol). 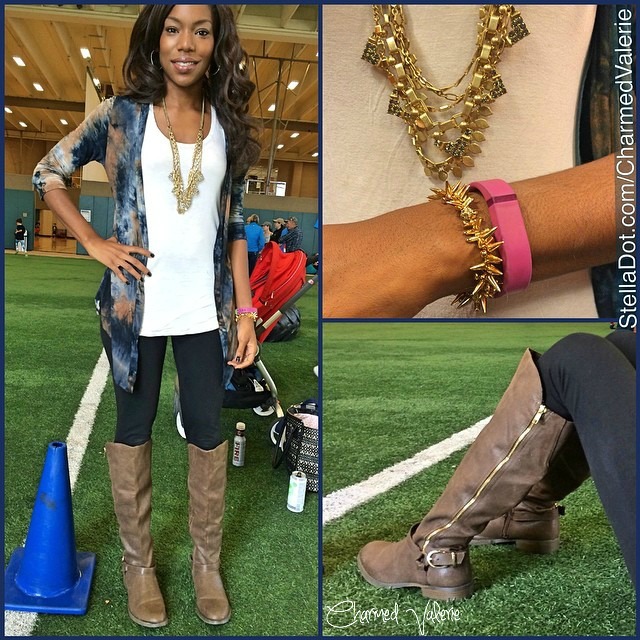 On Saturday at my oldest son’s soccer game, I wore my new pair of boots. I’m head over heels in love with them. Katressa is the perfect everyday boot for me and I especially love the gold hardware detail that adds a hint of fancy. Then I tried on the other pair of boots I bought, but ended up taking back because this color that is supposed to be “black” looks more gray-ish. I don’t want black-ish/gray-ish boots–I want straight up black OR gray (I already have an everyday black boot that I love). Here’s my Sunday Best. It’s still fairly warm here in Denver so gave my springy sundress a “fall floral” makeover with a sweater/vest/open-cardigan/whatever-you-call-it and my new boots. Then I busted out my version of chic spirit wear for the big Denver Broncos gameday. 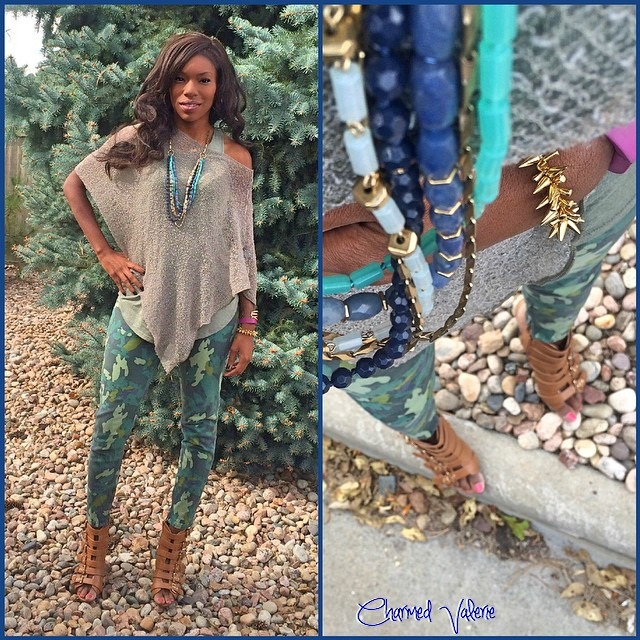 Hope you ladies are having a stylish autumn! 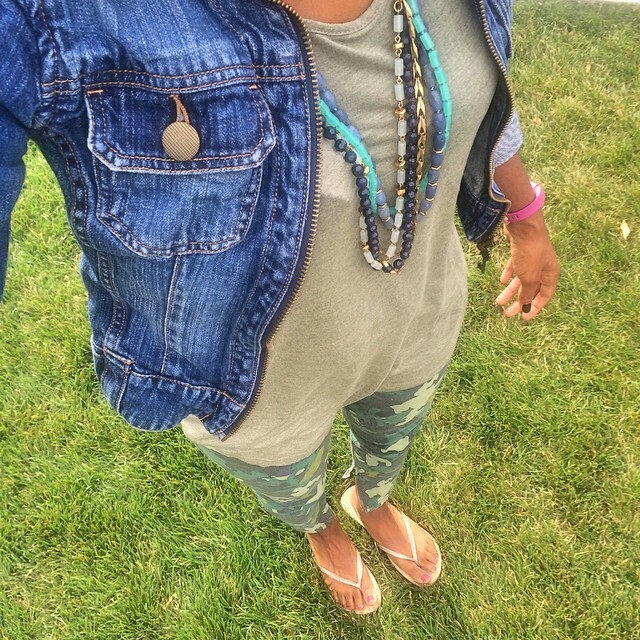 Linking up with What I Wore Wednesday (check it out). P.S. If you’re in the Denver area, I’d love to see you at Fashion Rocks on Friday!